I have recently been involved in a very exciting project for classical guitar ensemble. 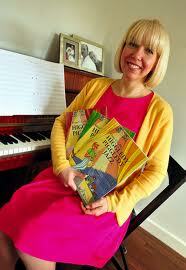 It all came about because my good friend the author, piano teacher and recitalist Elena Cobb of EVC publications created a wonderful new piano book for young students called Higgledy Piggledy Jazz. The book comes with a CD of professionally recorded live musicians allowing the young student to play along with a full Jazz Band. A great experience for young players! 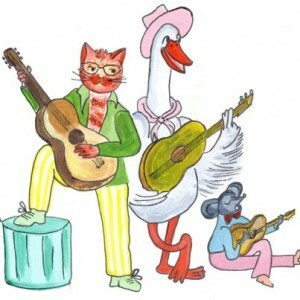 I was involved in recording the CD for the book and soon fell in love with the project and the music so we decided to make a new edition of the Higgledy Piggledy Jazz for classical guitar ensembles over varying different sizes and abilities. The project involved guitar teachers Philip Castledine and Selina Copley and myself and resulted what I believe to be a wonderful new resource for classical guitar students and teachers. I am currently working on studio recordings of the some of the classical guitar ensemble pieces as well as videos of some of my own students enjoying the music more details to be posted soon. If you would like to purchase the books or learn more about Elena Cobb, EVC Publications and the Higgledy Piggledy Jazz series then please enjoy exploring the links below. Here are some videos of The Saunders Brothers from Derbyshire, Uk playing two of their favourite pieces. Notice they do two versions of each piece one as written and one with improvisation on a pentatonic scale of with chords and percussion. They pieces are a great vehicle for improvisation and unleashing pupils creativity! Here are my own recordings of all the pieces from the book. I think you will agree what a great way for young people to learn the guitar together!